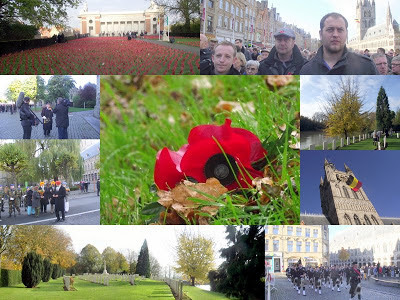 John's Labour blog: "to those who died in Flanders Fields and are buried forever in Flemish soil"
"to those who died in Flanders Fields and are buried forever in Flemish soil"
This morning at 11.00am I was in Ypres to watch the Remembrance Sunday Parade and Ceremony. 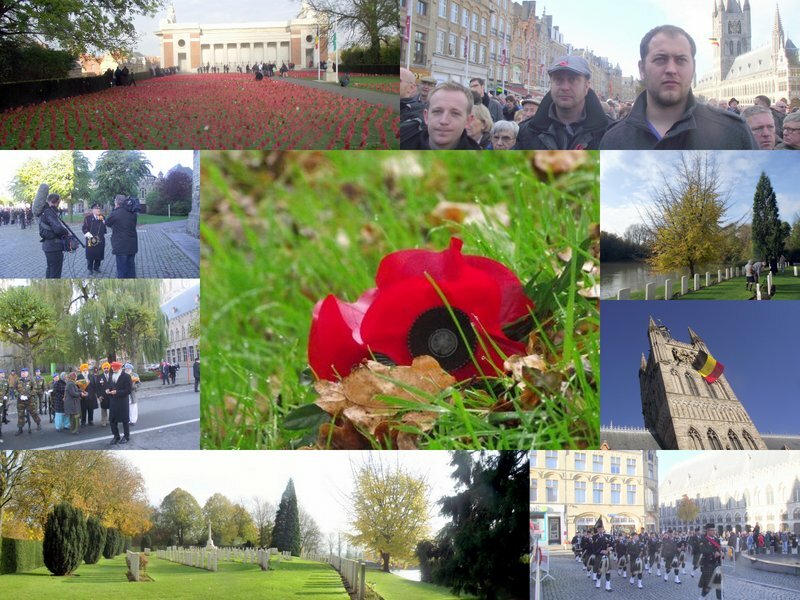 It was so busy that we were not able to get anywhere near to the main Ceremony taking place at the Menin Gate memorial. So we watched the parade march past in the City square outside the Cathedral and the service on the large TV screen. It was simple, beautiful occasion during which I think everyone who took part was deeply moved. There were many thousands present from all parts of Britain, Ireland and the Commonwealth. There were a number of poignant moments to note but the one that moved me the most was the joint wreath laying by the German and British Ambassadors to Belgian, while side by side. Afterwards we walked along the City Wall Embankments to Lille Gate and the tiny war cemetery which is just incredibly sad but also in a stunning location. Please one day visit it.